Comfortable, functional cantilever chair that can be adjusted to the lying position. FINO is a classic and a small revolution at the same time: The first cantilever chair for ultimate comfort all along the line due to continuous and separate adjustment of back, foot and headrest. 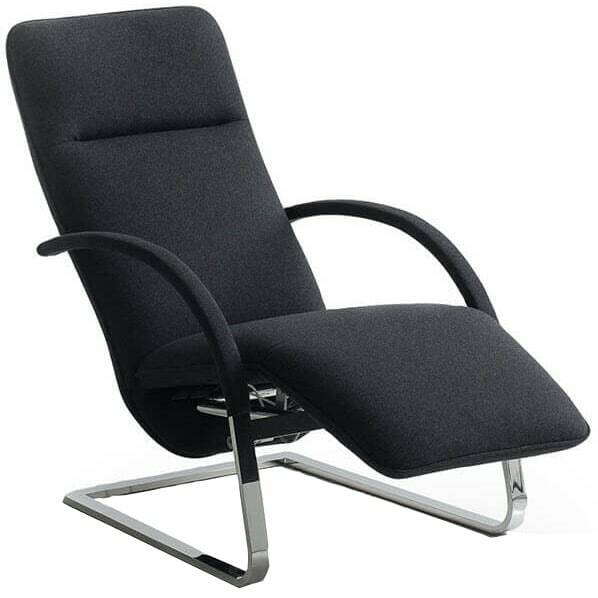 The functional reclining chair FINO can be upholstered in leather, fabric or Alcantara. The cantilever frame of the timeless design classic, originally made of round steel tube, comes in this new model in polished chrome flat steel. Do you have a question about "Fino (flat steel)"? How can we contact you?